As far as news roundups go, this one may leave something to be desired (I know, insulting my own post is probably not a great idea in the very first line...or any line for that matter). Most of the time, news roundups focus on current stories (hence the term news) that describe pertinent items. The following stories are not normal news feed fodder, nonetheless they are amongst the most interesting and captivating stories I've read in a long time, particularly when considering their general silliness and unfortunate insignificance. Basically, researchers in Britain are looking for funding for a project to mimic food distribution systems after the internet. Although this is an interesting idea indeed, it wasn't the good intentioned and fascinating topic of the story that originally caught my eye. It was actually the wording of the headline, "The Food Infastructure Is A Series of Tubes." Long before I started writing for Charge Shot!! 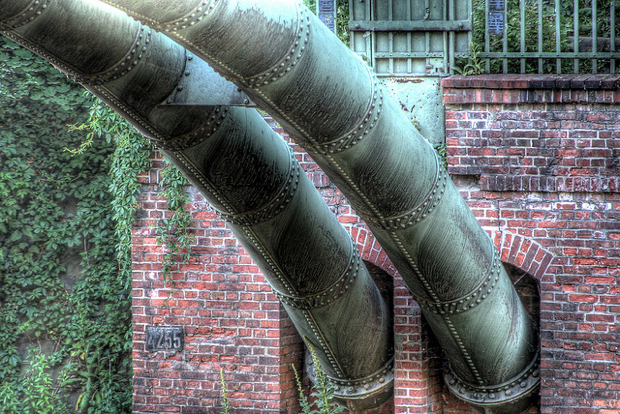 !, our venerable authors and editors of were referring to the internet, somewhat jokingly, as "a series of tubes." After delving beyond the quirky and coincidental headline, I found the actual article interesting (it's definetely worth a read). I started to ask myself, what else can we take from the internet and apply to our phisical lives? Any thoughts, readers? It turns out that, according to some very smart physicists, super accurate clocks have proven that our heads age faster than our feet (to be clear, the difference in aging is very minute). Although I could never claim to understand the science behind this story, it made me chuckle - and then it kind of made my head spin. There is little to say about this other than, "watch this video, it's awesome!" It's awesome if you're a tech/computer nerd, and it's awesome if you just like lego toys. It's awesome if you don't care about technology or legos at all. Seeing that I don't really understand the science behind the Greek computer in the above video, I couldn't even begin to offer any kind of guidance or commentary on how the technician re-created it, or how it will be applied to new products. Even after watching the video several times and trying to read some articles about it, the only thing I really know for sure is that it's one of the most captivating and coolest things I've ever seen.